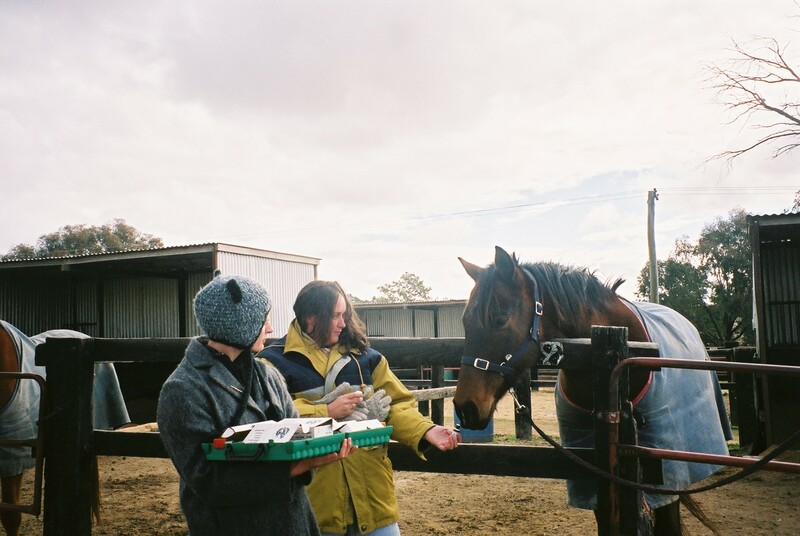 After a recent visit to a regular centre in Wyee – I received this photo from the human that belongs to Girsh. 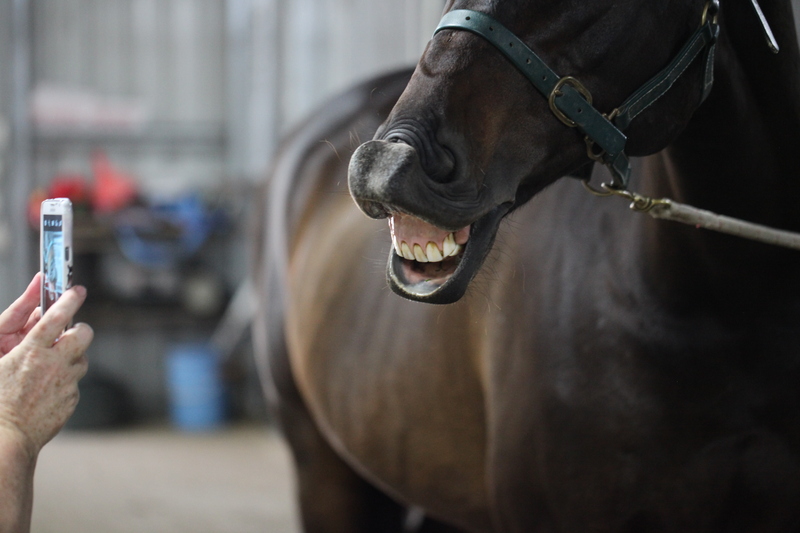 Girsh – smiling for the camera during a positive response to his essential oils during a recent aromatherapy session. 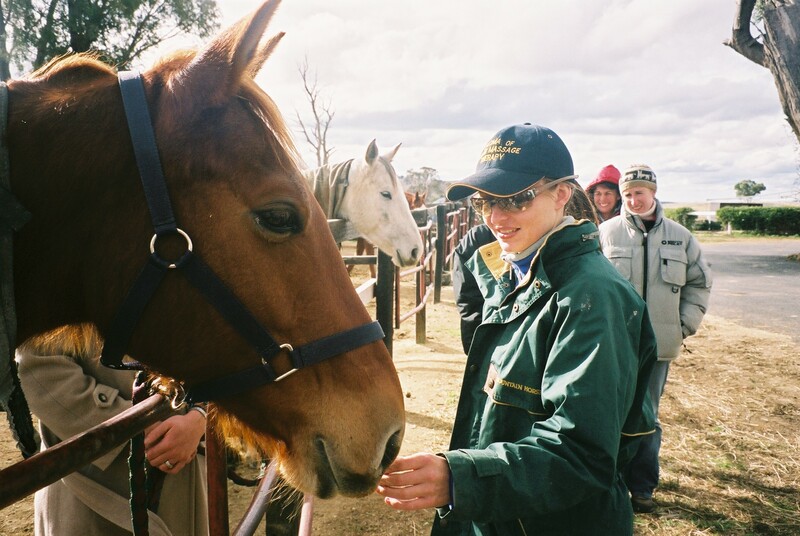 When first discovering essential oils for use with horses, it can be tricky deciding if your horse likes an aroma – hopefully from the archives of a class session I presented at Orange TAFE in 2007 you will gain some insights. Even on a day where it had snowed the day before, we were able to elicit a variety of responses that will help the reader see a sample of what could be expected. Ideally, the essential oil bottle is held a little further from the nostril and wafted across both nostrils. Moving the uncapped bottle away from our ‘Maybe’ friend would help to determine if he really likes the aroma – if he stretches further forward – take that as a positive. With the “May I have some more response” – this is a good distance to hold the bottle from the nostril. 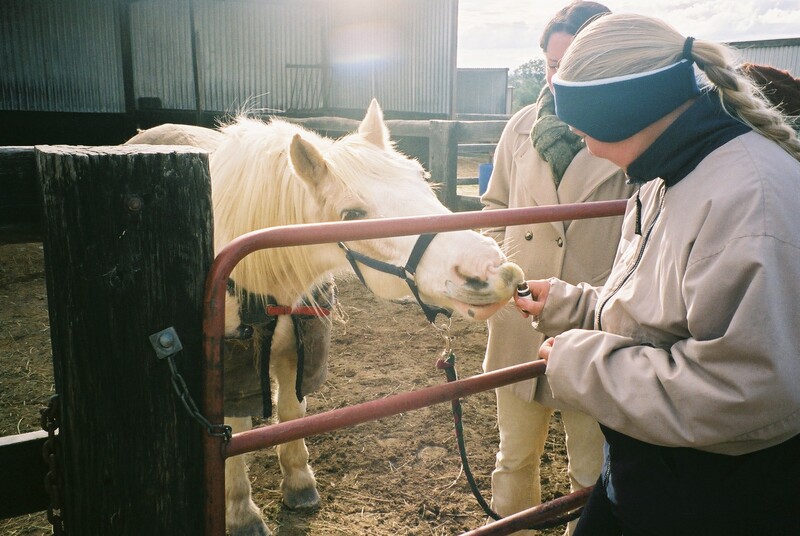 Some horses will just hang out with the aroma – you will notice a softening of the eye, and often appearing zoned out. 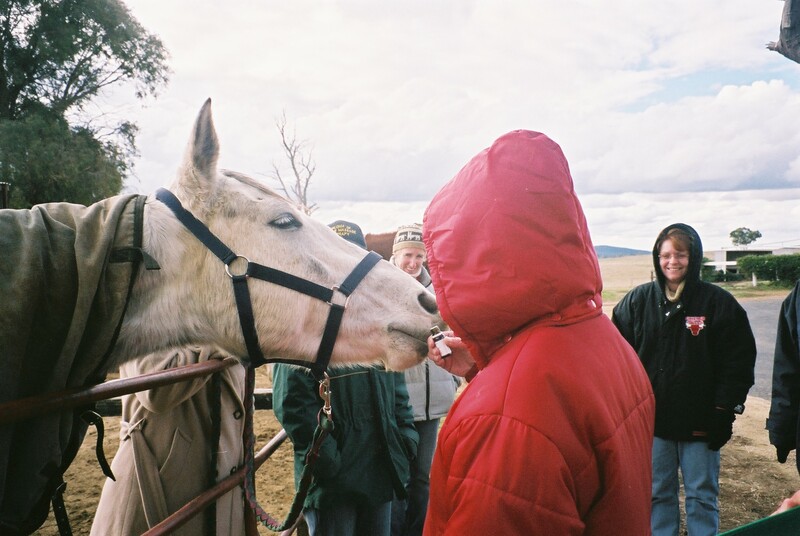 Just be careful that your horse does not try to grab hold of the bottle in his mouth. 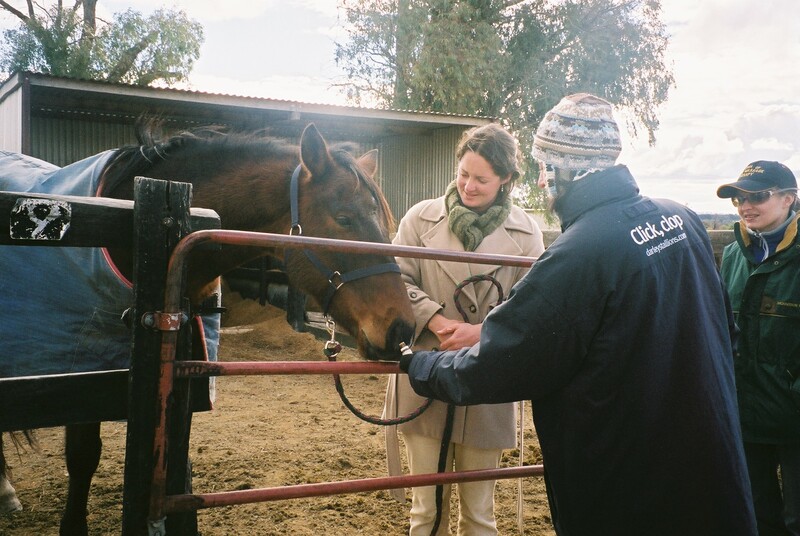 Great blog post by one of my Mentors Catherine Bird on how horses show positive responses to essential oils.